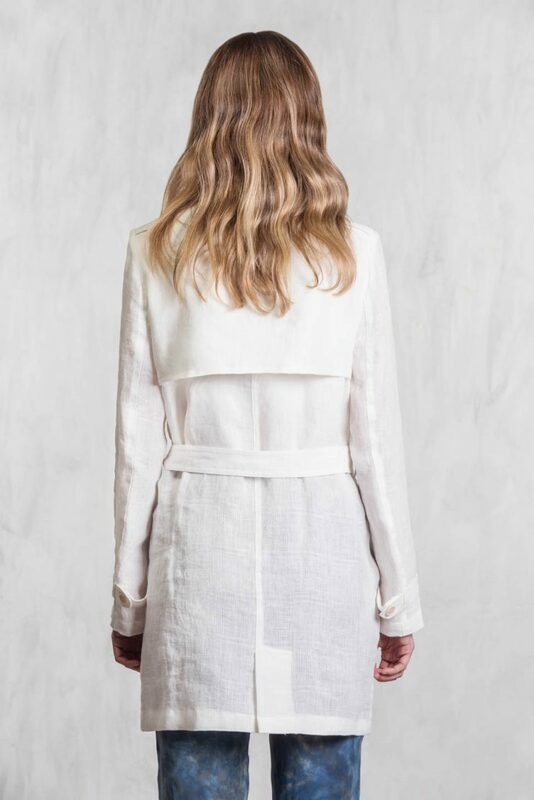 Vapourous linen double breasted trench coat with a lapel collar. 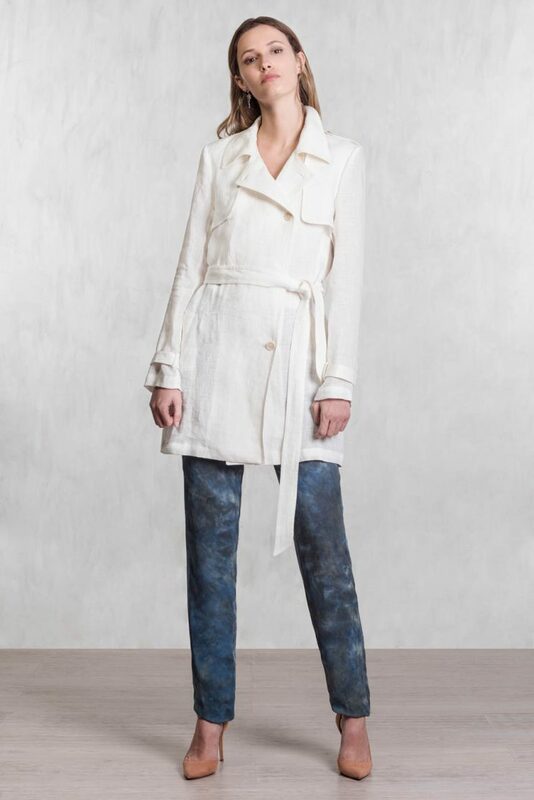 Soft linen worn with a irregular structure. 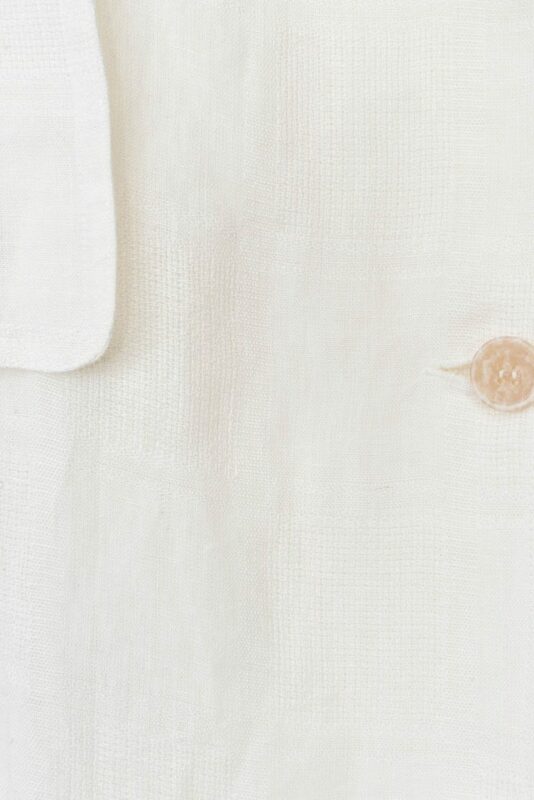 Detail of straps on shoulders and sleeves with corozo buttons and diagonal flap pockets.